10 Things You DON’T Need To Buy For Your Baby! *Sponsored post by Mirum Shopper. All opinions are my own. Second time moms want you to know that your baby doesn’t actually need all the stuff on your baby registry (and does need some things you probably missed on your registry!). They want to help you out and share with you the top 10 things you DON’T need to buy for your baby! Skip these and learn from seasoned moms who have been in your shoes. As a new mom I was nearly psychotic in my mission to keep my baby safe and nurtured. I bought every single baby item on the market (at least that’s what it felt like). My house was jam packed with baby stuff, most of which I didn’t need or use. After surveying other second (and third and fourth…) time moms we came up with a list of the top 10 things we want you to know your baby DOESN’T need! Don’t waste your money or the space in your home on these because they really won’t get used! #1 – A wipes warmer! Now trust me the thought of putting a cold wipe on that cute little bum repulsed me at one point. How could I startle that adorable little bottom with a cold wipe? I used my wipe warmer for about a week before it got kicked to the back of the closet in the name of practicality. The truth is, you will be changing your baby’s diaper in a myriad of places and the likelihood of every change happening at the changing table with the wipes warmer is slim to none. Beyond that, the wipes dry out faster and mold quicker too when they are in a wipes warmer. It’s much more practical to just use wipes at room temperature. Your baby won’t think any less of you I promise. #2 – A changing table! Now stay with me here. I am not suggesting you don’t need a changing table at all, but rather you should think more long term here. 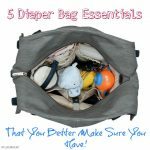 Skip the dedicated changing tables which are useless once baby is out of diapers, and go with a dresser and changing bag placed on top instead. We bought a sturdy, two drawer dresser that sat at waist height and was perfect for changing diapers on. Once my baby outgrew it, we removed the changing pad on top and used it as a dresser. No money wasted on buying two separate pieces of furniture. #3 – Infant shoes! Okay, go ahead and buy one adorable pair of newborn shoes, but I promise you they will be purely for pictures or special occasions because you will quickly learn that just keeping a sock on that little infant’s foot is struggle enough. Forget the shoes. They won’t wear them! #4 Pricey name brand formula! – Whether you choose to breastfeed or formula feed, you may need to use formula at one point. 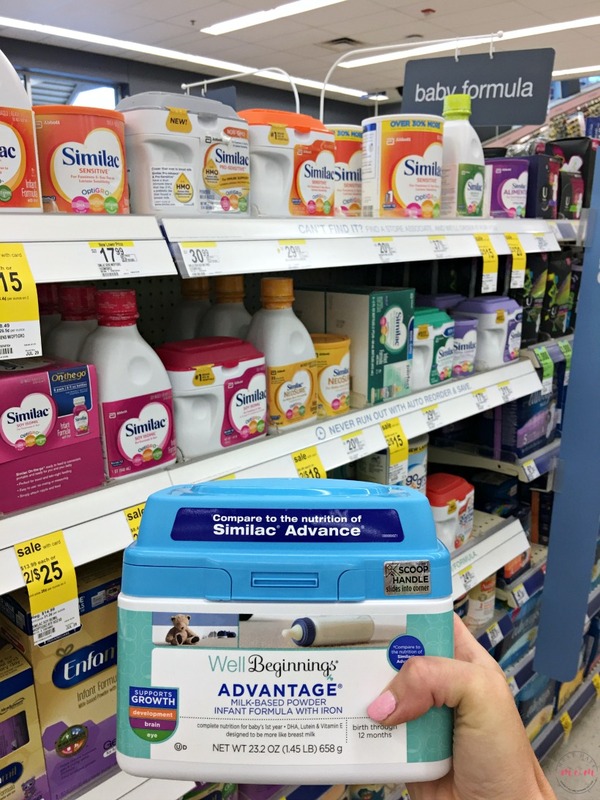 Skip the pricey, name brand formula and go for Well Beginnings at Walgreens instead. It is made with the same benefits and strict standards as the name brand guys use, but at a much lower price. When you add up the savings over the year your baby will be consuming formula, the numbers are staggering. Not sure where to find it? 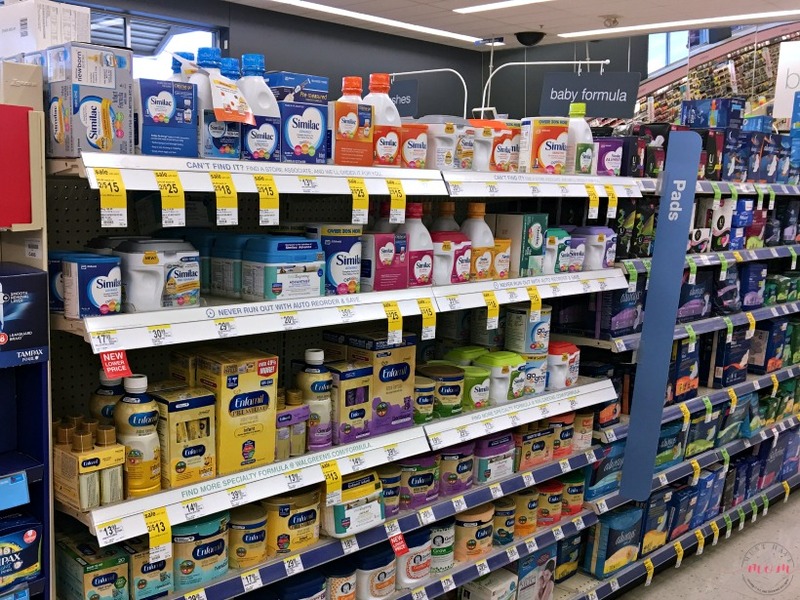 It’s in the formula aisle at Walgreens right next to the name brand formulas! 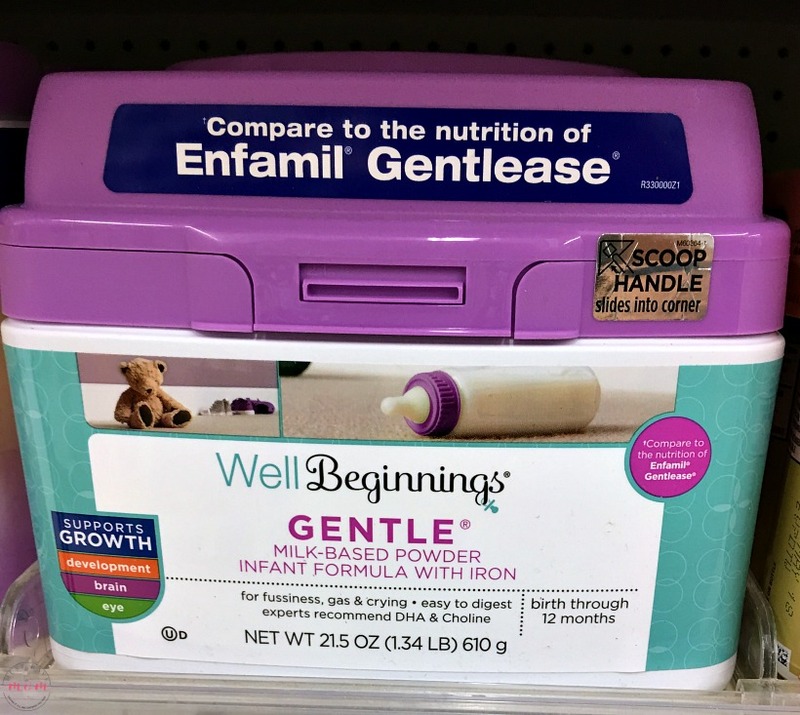 Bonus – the Well Beginnings brand at Walgreens offers Sensitivity Infant Formula, Gentle Infant Formula with Iron, Premium Infant Formula with Iron and Advantage Milk Based Infant Formula with Iron, so even if your new baby requires a special formula, you don’t have to spend big bucks on name brand formulas. Get the same ingredients at much less cost. #5 – A plastic baby bath tub! I had one of these with my first baby and we always struggled with where to store it when we weren’t using it. They are so big and bulky and take up way too much space. Instead, use something like the Blooming Bath or Puj tub which is a soft insert that goes into the sink to bathe baby in and doesn’t take up a lot of room to store it. Once your baby outgrows the sink baths you can graduate them to the bath tub and use a laundry basket in the tub to help them sit up and not tip over! #6 – Baby bedding set! While the crib sets you see are adorable, they usually aren’t practical or safe for baby. Baby should sleep in a crib with no crib bumpers or soft bedding which eliminates half of the things in that bedding set you just spent too much money on. Instead opt for a tight fitting crib sheet, breathable crib bumper (or none at all) and a crib skirt. You’ll save money and keep baby safe. #7 – Baby laundry soap! The makers behind these products are simply playing on your need to be the best mom ever to sell you laundry soap at inflated prices. You can instead opt for an all clear formula that is unscented or make your own homemade laundry soap. #8 – Multiples of things! Resist the urge to buy 5 swaddling blankets, 3 different pacifiers and a slew of newborn size outfits. Instead of over-buying things your baby may end up never using, wait and get to know your baby’s preferences before buying multiples of things. Maybe your baby will hate being swaddled or come out bigger than expected and never fit in those newborn outfits. Buy a few things, then wait and see once baby arrives. #9 – Moses basket! While moses baskets look adorable and chic, they end up sitting unused. Chances are, your baby will be content to sit in their swing, bouncer or other apparatus that you’ve bought to keep them occupied. Don’t waste money by doubling up on places to set your baby. #10 – A Bassinet! 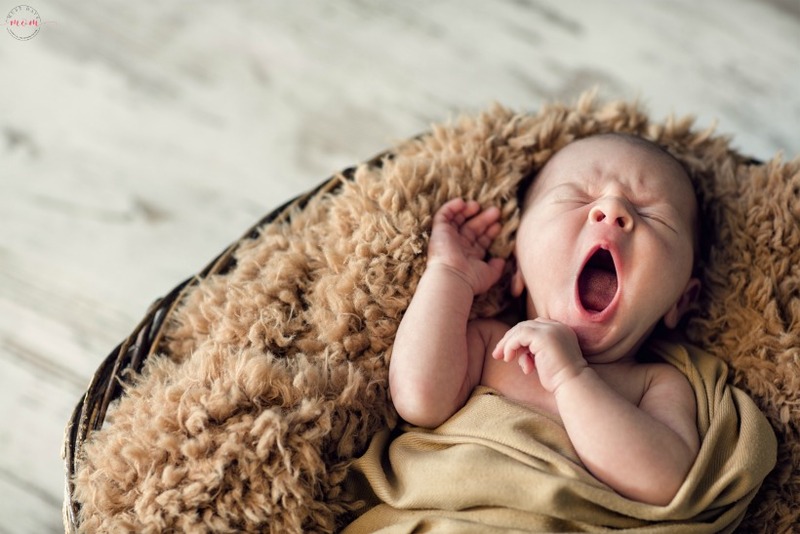 Instead of buying a bassinet to keep baby in your room those first few months, opt for a co-sleeper instead. Even if you don’t plan on actually co-sleeping, it is priceless to be able to reach over in the middle of the night and grab the baby right out of the co-sleeper without having to get up and out of your bed. You will get better quality sleep and be able to feed baby without fully getting up every few hours. Take advice from seasoned moms and skip some of the unnecessary baby gear. Not only will you save money, but you will also have less stuff and more space in your home. Babies come with enough essentials that you don’t need to add to that clutter with anything unessential! What was one baby item you bought that you never used or didn’t need? 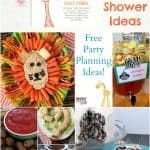 Safari Baby Shower Free Party Planning Ideas: Food, Games & Invites! This is such a great post. There are so many things you need for babies, but there are also so many things you DON’T! I couldn’t agree more with the changing table! It’s all about functionality and the pad on the sturdy dressers is more than enough. I think you’re correct in a lot of these things. First time parents do not know what they don’t need and so something like this can really help. I can understand the white wonders if you live in the Midwest but even then I don’t think I would get them. Haha we live in northern MN where winter is -40 degrees and I still never used mine past the first week or two! But the shoes are adorbs for photos, hahah! I’m not a human mom but this is great to keep in mind for friends and family. Lol that is why I said go ahead and buy that one pair for photos. Haha you have to get just one! But beyond that they just don’t ever get worn! YES!!! I love this list and wish it was around when my kids were little! I bought so many things that were unnecessary! 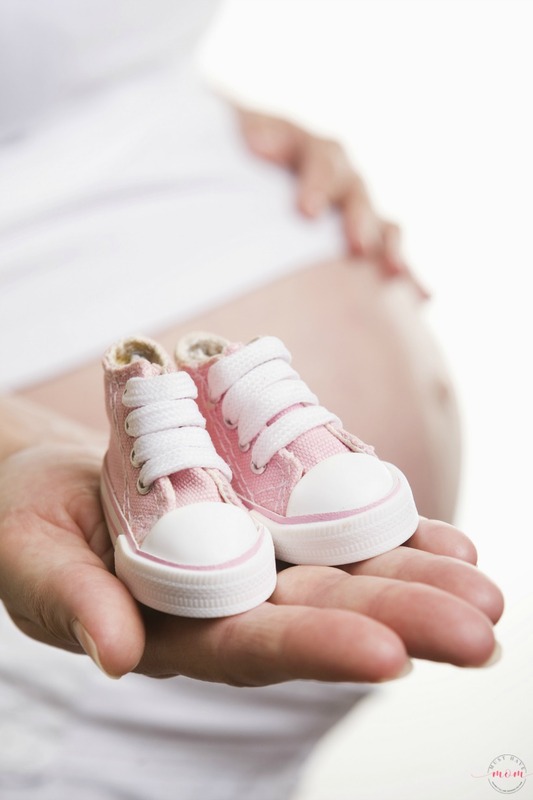 This is a great list to pass on to mothers-to-be. It’s been ages since my daughter was a baby. There are so many things that didn’t get much use. I did use my wipes warmer for 4 kids though, LOL! I wish I had saved money on baby shoes!! They never stay on! Haha that is too funny! I ended up finding these awesome little things that went over the baby socks to hold them on their feet and they worked great. Now those were a good buy! This is so spot on!!!! Every new mom needs to read this! I totally agree with not needing a changing table. I always just pull out a pad and use the floor. So much easier and costs so much less! Yes, I also loved having a little caddy with the diapers, wipes and ointment in it that I could grab and take room to room. I would just change them on the floor then. So much easier! It is so tempting to go out and buy all the things you see at the baby store. We had a change table we only used a few times and then it was just used for storage. Haha I SO wanted a moses basket! Little did I know how useless it would be haha. I agree with all these! Awesome tips for new moms! I wish I’d known these when I had my first baby! Ugh I couldn’t agree more with some of these. Having a new baby can be so expensive and when you are buying so many different things you don’t need it gets even worse. A great spin on this topic. Nice to know what you wouldnt need. This is good information as I’m often getting gifts for babies, especially like to do up gift baskets. Some things are just fun, but if you are on a tight budget, they would have wished they were given things they needed, not just cute. This is a great post. I agree with pretty much everything you listed. This is great info for first time parents. I have wasted lots of money on things that never or rarely got used.